to full hearing only when Orpheus sang. before it followed where your hearing led. rose resounding—; the undreamt-of center. total happiness your friend’s face and stride. Jupiter enters the dark waters of Scorpio on October 10, 2017 and remains within its shadowy depths until November 8, 2018. Scorpio is not a natural match for Jupiter in terms of its intrinsic meaning aligning smoothly with the uplifting purpose we receive through Jupiter. Yet the tension between the meaning of Scorpio and Jupiter is fertile ground for provoking the types of struggles and determination necessary to foster greater strength in developing past previous limitations and obstacles to growth. The signs of Cancer, Sagittarius, and Pisces are considered to be the zodiacal terrain most akin to the essential nature of Jupiter, yet Scorpio may be embraced as a sign in which we can work with Jupiter for unique ends like nowhere else. Jupiter descending into the underworld atmosphere of Scorpio brings passion for penetrating into the heart of the matter and unearthing wisdom from the deepest levels of focus and experience. Scorpio is a sign transitioning Jupiter from Libra, the airy home of Venus which is comfortable for Jupiter, into its fiery home of Sagittarius where it enjoys all of its resources needed for grand visions of imagination and higher mind. Jupiter does not feel as comfortable in Scorpio, however its time in Scorpio is absolutely necessary in terms of helping us delve deeper into our own subconscious as well as gain insight into the sea of collective unconsciousness swirling around us. There are numerous mythic figures who reveal aspects of the meaning we can find with Jupiter in Scorpio, such as Dionysus the subterranean Zeus whose epiphanic experiences include chaotic moments of being torn apart so as to be brought back together again into wholeness. We may also consider Osiris, the generous and noble cultivator of ancient civilization whose destiny necessitates descent into the underworld realm of spirits and ancestors. The more we are willing to probe within and contemplate our depths, facing our fears and whatever else has been buried inside, the more we will be able to leap and embody the potential of Jupiter’s time in Sagittarius which will begin in November 2018. Jupiter does possess a level of essential dignity from nineteen degrees and beyond of Scorpio: the Egyptian bounds of Jupiter within Scorpio extends between nineteen and twenty-four degrees, and Jupiter is also the ruler of the third decan of Scorpio within the triplicity rulership scheme. Jupiter will be in these degrees from mid January 2018 through the beginning of May 2018 and then return again at the beginning of September 2018 for the rest of its transit through Scorpio. These degrees are more within the domain of Jupiter than the rest of Scorpio, and we may find that in correspondence we can more readily transmute our experience of Jupiter in Scorpio into the sort of wisdom we can integrate into our daily life. Jupiter loves to coalesce meaning from experience, stabilizing our lives at the same time it expands, elevates, and progresses personal narratives. Since Scorpio is a water sign, it brings Jupiter the opportunity to do this through penetration into personal feelings and emotions, allowing our watery depths to both absorb lessons while dissolving old hangups and restrictive patterns. 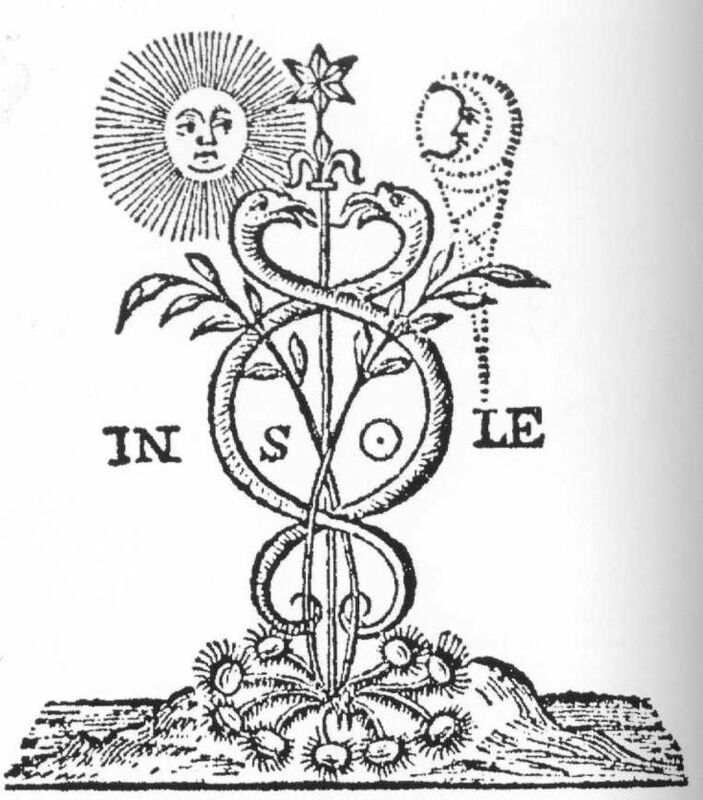 Jupiter does not have triplicity rulership over water signs, yet finds both its exaltation (Cancer) and inner home (Pisces) in the other two water signs. Perhaps it is the fixed nature of Scorpio that can bring both obsession and stubbornness that makes Scorpio a more challenging testing ground for Jupiter. However, the fixed quality of Scorpio does align with the stabilizing nature of Jupiter, for Scorpio will fight for security against all odds. Scorpio as a fixed water sign can help us deepen the relationships and projects we initiated during the past year with Jupiter in Libra into long lasting enterprises nurtured by strong foundations. Scorpio facilitates merging with others, and so during Jupiter’s time in Scorpio we will be able to dive deeper through sexuality and cultivate new levels of intimacy with partners. Jupiter in Scorpio also bolsters realization of higher meaning through intensifying studies of spiritual or philosophical bodies of knowledge. Through philosophical studies and spiritual experiences with Jupiter in Scorpio our entire being can become transmuted so as to realize a vaster whole that contains our expanding perceptions. We will need to be careful at times of becoming overly obsessed with merging with external sources and remember to re-center and ground within following experiences of cathartic, transformative union that bring a new sense of self. The inward energy of Scorpio supports allowing things to take shape more at their own pace, yet the gifts Scorpio possesses for Jupiter need to be activated by courageous determination rather than passive acquiescence. The stability we can experience with Jupiter in Scorpio needs to be balanced with a willingness to push the envelope and pierce the veil of material illusions to discover the animated soul qualities underpinning our reality. Jupiter in Scorpio does not necessarily involve spiritualism, however, and in fact could also correlate with those exploring atheist or existential lines of thought. The unifying feature of Jupiter in Scorpio is engagement in obsessive pursuits in which our entire being is thrust into embodied exploration at the deepest levels of wherever we direct focus. We will need to temper going overboard with obsessive desires and remember to be respectful of ethical boundaries. In particular we will need to be honest about inner feelings and be curious and open with whatever arises from within our unconscious into awareness without denial. Exploring the shadow of whatever is in our conscious awareness is a constant balancing act we will need to be engaged in, for the slippery shadow continually mutates as we bring light to our own darkness. We will be rewarded in the year ahead with Jupiter in Scorpio when we take responsibility for nurturing our inner wounds and embracing natural change, avoiding emotional manipulation of others or refusing to compromise in manipulating the desired outcomes of effort. Jupiter in Scorpio brings ample stores of determination and willpower to infuse into whatever we are developing, pursuing, or protecting. Jupiter in Scorpio is within the home of Mars, and so the wisdom we gain will often come through displays of willpower and determination in the face of difficulties, through resiliency while struggling with conflicts. According to the ancient philosopher Empedocles, the constant fluctuating between forces of Strife and Love are at the root of Creation and our experience. Peter Kingsley in his book Reality argued that our modern wishful thinking idealizes Love and demonizes Strife, but reading of Empedocles indicates the necessity of Strife in developing presence and cultivating awareness to enable direct experience. Kingsley wrote we can work with Strife to destroy “our beliefs and illusion, our attachments, our clinging to the way things are,” as “the very act of becoming conscious is, itself, a process of destruction; of separation; of learning to die before we die” (p. 435). In contrast to the significations of harmony and union brought by Venus to Jupiter transiting through Libra in the past year, Mars brings significations more aligned with challenges requiring courage. Our process of learning lessons through Jupiter in Scorpio will include the alchemy of elements becoming separated in order to become purified and brought back together into a cohesive whole. Jupiter in Scorpio will facilitate severing yourself from past toxic addictions and patterns, bringing determined willfulness into intentional alterations and change. Through whatever struggles we endure with Jupiter in Scorpio, a more meaningful approach to life imbibed with intrinsic purpose may be distilled. Mars signifies the warrior and protector, and so Jupiter in Scorpio will also amplify efforts of political activism centered around protecting human and environmental rights. Jupiter in Scorpio will help deepen bonds of camaraderie among those aligned in purposeful value, intensifying efforts to promote social justice that were triggered during Jupiter’s catalytic transit through Libra that featured powerfully charged interactions with transiting Uranus and Pluto. Notably, Jupiter in Scorpio will now be heading toward harmonious aspects with the outer planets Neptune in Pisces and Pluto in Capricorn, bringing opportunities for profound integration of wisdom from our experiences. Will this not be enough? Will this not satisfy? The wish for my own freedom, what is that to me? Perhaps the most exciting element of Jupiter’s time in Scorpio will be its trine to Neptune in Pisces that will open greater access to the potential of Neptune’s transit through Pisces. Jupiter previously formed a trine to Neptune in Pisces when it was in Cancer in 2013, however Jupiter’s time in Cancer then also involved it being opposite Pluto and in square to Uranus. The stability of the trine between Jupiter and Neptune across the next year will be more easily accessed, and it should also help that Jupiter will be in a harmonious aspect with Pluto. There is enormous potential for spiritual insight, cathartic works of imagination, and the shedding of beliefs we realize are illusory. Neptune can be associated with escaping the harshness of reality through various forms of illusions, yet the trine from Pisces Neptune to Scorpio Jupiter calls us to awaken and courageously meet the world as it is with all of its suffering, without denial. Like a Bodhisattva willing to return and return again in order to help enlighten and liberate others, Jupiter in Scorpio will support persevering through uncomfortable truths in order to engage the world wholeheartedly and to compassionately serve the greater good. Jupiter in Scorpio will support testing and probing our beliefs, discovering where we are truly being mindful in the moment and where we have been led into deception. In addition, for those who study astrology, other esoteric arts or spirituality, as well as other forms of philosophy and science, the year ahead with Jupiter in trine to Neptune holds extraordinary potential for deepening understanding. Jupiter will be within three degrees of a trine with Neptune between mid November and mid December of 2017, becoming exact on 2 December 2017. Jupiter will again be within three degrees of a trine with Neptune between May and September of 2018, becoming exact on 25 May 2018 and again on 19 August 2018. In Scorpio, Jupiter shifts from being in a harsh square with Pluto into a harmonious sextile, bringing the opportunity to integrate vital lessons from the past year of Jupiter being shook by intense aspects from Uranus and Pluto. Many modern astrologers associate Pluto with rulership of Scorpio, but no matter your astrological framework the sextile between Jupiter and Pluto brings the potential for gaining empowerment through embodying integrity and purging inauthentic aspects accumulated through cultural conditioning. With Jupiter harmoniously interacting with both Pluto and Neptune, we have the ideal climate for a heartfelt dive into Soul for guidance. In Scorpio, Jupiter will support breaking free from cultural judgments, conditioning, and taboos that have previously repressed expression of essential nature. It will be necessary in this process to contemplate the parameter’s of one’s ethical framework so as to act within the bounds of our values and ideals. As Jupiter forms its sextile with Pluto, Saturn will also enter Capricorn and begin to complete the end of its cycle with Pluto. Those already entrenched within power structures will be likely to use whatever means necessary to hold on to their control, and here we will experience the dangerous manipulative side of Jupiter in Scorpio through attempts to coerce public opinion with deceptive tactics. For those seeking to expose the corruption of hierarchical systems of power, however, Jupiter in Scorpio while in sextile with Pluto brings enormous capacity for discovering and revealing information that can bring corrupt tyrants to their downfall. The polarized political climate around the world is likely to get even more combative with Jupiter in Scorpio, but the resources Scorpio provides for revelation of truth can be utilized for significant results and progress by activists fighting for social justice. Jupiter will be within three degrees of a sextile with Pluto from the end of December 2017 until the beginning of May 2018, becoming exact on 15 January 2018 and again on 13 April 2018. Jupiter will once again come within three degrees of a sextile with Pluto from late August 2018 until the end of September 2018, becoming exact on 12 September 2018. Jupiter in Scorpio will pivotally begin to form a square to the transiting lunar nodes as it moves through the sign of the Scorpion. Ancient astrology called this aspect being at the bendings, as planets in square to the lunar nodes are at a far away bend of arc away from the lunar nodes. Planets in square to the lunar nodes must be dealt with and have an air of unavoidable necessity in our lives. In our personal lives the impact of Jupiter in Scorpio in square to the lunar nodes will be karmic, since the nodes are intersection points for the paths of the Sun, signifying our source of Soul, and the Moon, signifying our incarnated bodies in reception of Soul. As a result, all of the significations of Jupiter in Scorpio have something vital to add to our experience of the North Node of the Moon in Leo, and the South Node of the Moon in Aquarius. The penetrating depth of insight brought by Jupiter in Scorpio will bring increased awareness into how we have been modifying our self expression to fit into group and societal norms, and how we can share our gifts in service to community. The Leo North Node of the Moon emphasizes creative actualization and pursuing desires that bring visceral vivification rather than restraint. With the South Node of the Moon in Aquarius, we are experiencing a purification of our humanitarian ideals and how we can contribute to creating the type of global community we wish to exist within. Jupiter in Scorpio will thrust us into exploration of difficult questions and answers, enabling us to get at the underlying roots of our current circumstances. Jupiter will end up stationing retrograde in range of a square to the Leo and Aquarius eclipses on 9 March 2018 at 23º13′. This degree forms a tight square to the first Leo Lunar Eclipse that occurred on 10 February 2017. It also is within range of a square to the monumental Total Solar Eclipse in Leo that occurred on 21 August 2017. The stationing of Jupiter in mid March will catalyze storylines that developed in accordance with these past two Leo eclipses. In addition, there is a Solar Eclipse in Aquarius that will occur on 15 February 2018 at 27º Aquarius that will add another major wave of influence into the narratives that will be further amplified when Jupiter stations retrograde in March. The internal darkness of Scorpio will help nurture our experience of Jupiter so as to help transform our beliefs and faith into greater alignment with the underlying natural order and fabric of our reality. We will feel compelled to challenge and confront the dictates and doctrines of the dominant paradigms found within society, including religious, political, and metaphysical systems. There will be many treasures to uncover from within the waters of Scorpio in the coming year as long as we maintain the fortitude necessary for the dive. How the cry of a bird can move us . . .
they drive their shrieking’s wedges. one deep current carrying head and lyre. Balzac, Toward the Light, Midnight (1908) Photograph by Edward Steichen of Auguste Rodin’s Balzac statue. Rodin was born with Jupiter in Scorpio. Hill, Judith. (2013). Eclipses and You: How to Align with Life’s Hidden Tides. Stellium Press. Kingsley, Peter. (2003). Reality. The Golden Sufi Center. Shantideva. (1997). The Way of the Bodhisattva. Translated by the Padmakara translation group. Shambhala Library. Thank you, its nice to hear from you again! Yes there certainly can be pain associated with all of this with Jupiter in Scorpio. Gray, you’ve outdone yourself here. Or perhaps it’s just because this post is so personally relevant, having a 6 deg Sag Asc and Moon, Ur and Merc in the 8th. Even the O’Keeffe – one I have never seen – impresses itself upon me. That she and Monet – with such very different styles – both have Jup in Scorpio surprises me and then doesn’t. Having a Leo South node and AQ North, your references to the moon’s nodes also fascinates. Stunning– as we prepare for the ‘dive’, let us have faith to light our way, (I have Jupiter cnj Neptune in Scorpio in the 8th–resonates)! Brilliant post. I’ll have to re-read it a couple of times. As a Pisces, I’m feeling the Jupiter in Scorpio vibe big time… I like it, but it’s intense. born with Jupiter in Scorpio as well as Sun Moon Mercury and Mars found such dept in this writing as well as the quotes and pictures….absolutely beautiful Thank You!